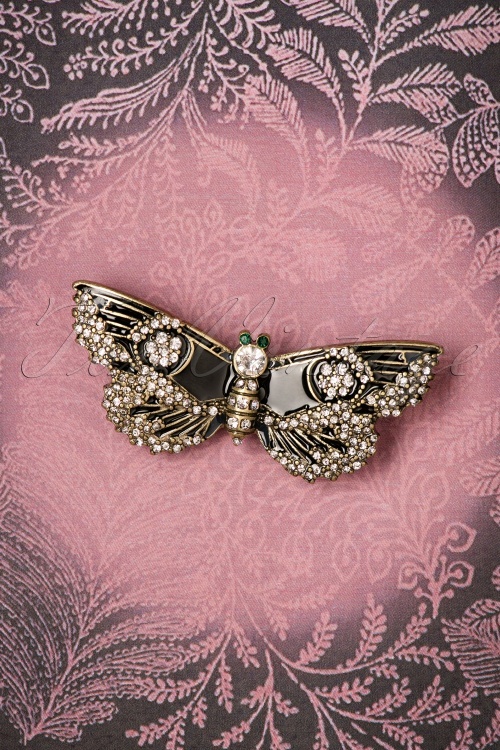 Let yourself be enchanted by this mysterious 30s Jet Butterfly Brooch in Black and Gold! She is breathtakingly beautiful and made of antique gold toned metal, enamelled in black and embellished with sparkling rhinestones in white, black and emerald green. 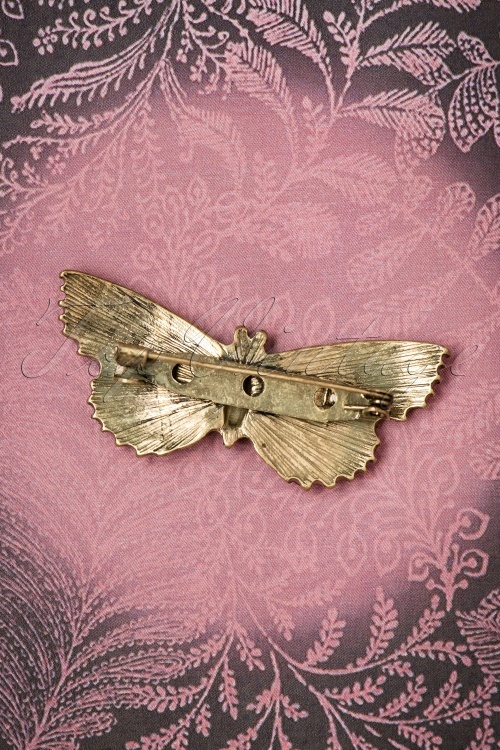 Will this butterfly be flying your way?